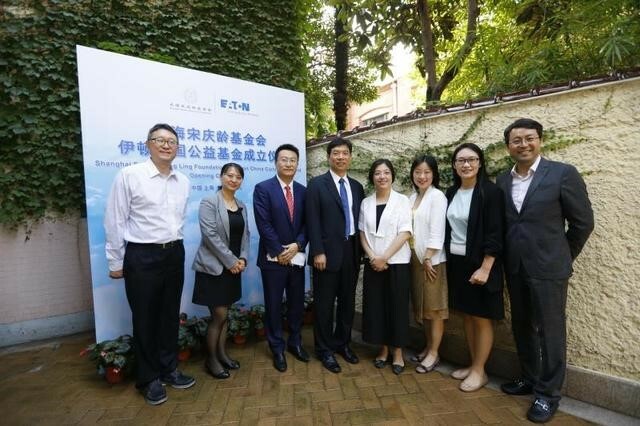 The unveiling ceremony of Shanghai Soong Ching Ling Foundation - Eaton China Community Fund was held in Shanghai on the afternoon of September 26, to support China’s social causes and promote the sustainable development of Chinese society. The fund is jointly initiated, operated and monitored by the Shanghai Soong Ching Ling Foundation and Eaton China Power Management Company. Attended the ceremony were Shanghai Soong Ching Ling Foundation acting secretary general Jia Yong, Eaton China president Howard Liu, Asia Pacific chief financial officer Jin Yan, Asia Pacific human resources vice president Lou Zhenhua, Shanghai Foreign Investment Association vice president Zhang Rongjie, representatives of public welfare organizations and media. As a global leading company in power management, Eaton's "Gene" of philanthropy and public welfare has a long history, with the company’s founder as a co-founder of the Cleveland Charity Federation in 1915. Entered China in 1993, Eaton China has been paying great attention to the education in China, especially to the status of disadvantaged children’s education, while serving the causes of sustainable development in China. Since 2006, Eaton China has donated nearly 9 million yuan in China in support of post-disaster reconstruction, education and community public welfare projects. Eaton China president Howard Liu said at the unveiling ceremony that with the establishment of Eaton China Community Fund, the company will focus on education and sustainable development as its public welfare strategy, increase donations, and work together with partners to implement the corporate social responsibility to support more public welfare programs. 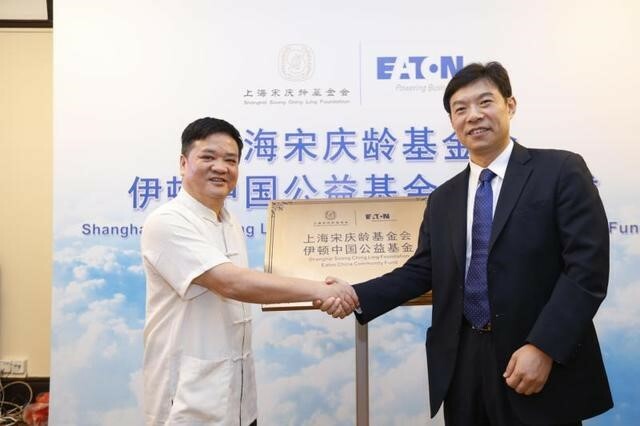 and Eaton China President Howard Liu jointly launch the Shanghai Soong Ching Ling Foundation ─ Eaton China Community Fund.